Newborns with UCD initially present with nonspecific symptoms such as vomiting, feeding refusal, irritability, lethargy, respiratory problems and seizures [3, 4, 5]. Further progress leads to apnea, cerebral edema and death. Emergency care, stabilization of the neonate during acute illness and immediate start of NH4+detoxification are indispensable for survival and for the prevention of irreversible brain damage. The clinical phenotype is often mistaken as neonatal sepsis. 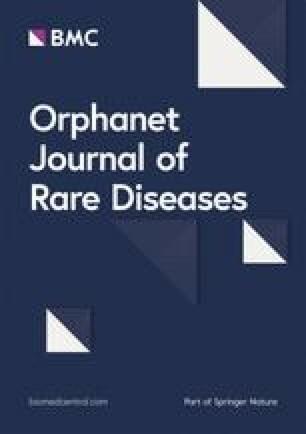 Since hyperammonemic encephalopathy of UCD patients shares clinical overlap with other diseases becoming manifest in the newborn period, particularly neonatal sepsis, and hence cannot be reliably identified clinically, diagnosis and start of specific emergency therapy is often delayed. Hyperammonemic encephalopathy in newborns with UCDs is a life-threatening metabolic emergency that requires immediate and targeted treatment to prevent irreversible brain damage and death. The diagnosis of UCDs is often delayed, since clinical presentation shows broad overlap with other neonatal emergencies, in particular neonatal sepsis. The major aim of this study is to better distinguish neonatal onset of UCDs from the more frequent neonatal sepsis. 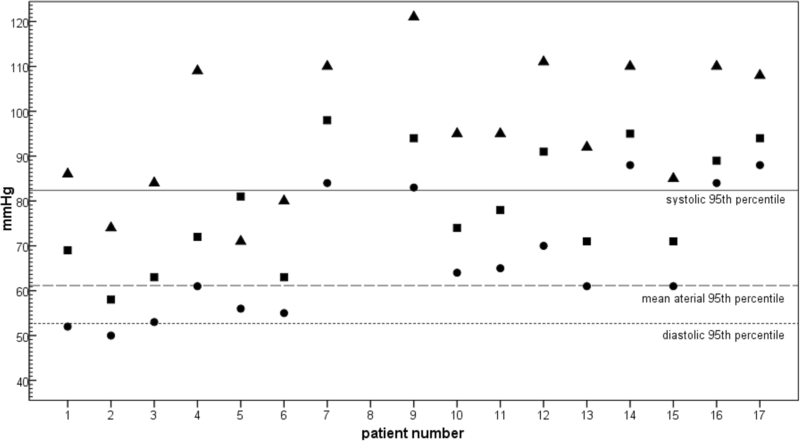 The clinical presentation of UCD patients in this study is in line with previous reports on neonatal onset of UCD patients [3, 4, 5]: Progressive respiratory distress, muscular hypotonia and lethargy were the most frequent clinical symptoms. Striking and not previously reported was the finding of high blood pressure during hyperammonemic encephalopathy, a finding clearly distinguishing between UCDs and neonatal sepsis. Blood pressure was determined by oscillometry. Even in pediatric population oscillometric and radial artery blood pressure are closely correlated with only a small error . In contrast to preterm infants there is no correlation between blood pressure and birth weight, length or gestational age in term infants [6, 7, 9]. In our cohort except one all were term infants. As described above 13 out of 16 patients (81%) in our study had a blood pressure above the age-appropriate 95th percentile  at first contact with a pediatrician due to clinical worsening, with most neonates being lethargic and severely compromised. Therefore high blood pressure was not due to increased activity or additional fluid administration. Beside activity an alternative cause of neonatal hypertension is increased intracranial pressure due to cerebral edema . The initial cranial ultrasound including Doppler and Power color Doppler examination, however, showed no evidence for an apparent brain edema on admittance. Alternatively, low plasma arginine concentrations, which are characteristic for urea cycle disorders, can also be a reason for arterial hypertension. Production of arginine is important for endogenous cellular production of nitric oxide (NO), a potent vasodilator . Patients with UCD, except those with arginase 1 deficiency, have low arginine levels. In ASL deficiency impaired systemic NO production is thought to rely on disturbed formation of a complex including ASL and endothelial NO synthase among other components . In a newborn receiving arginine for evaluation of pituitary function a drop of blood pressure was seen after infusion of arginine followed by re-rising after discontinuation . Nelin et al. showed that arginine infusion lowers blood pressure in normotensive infants. A few cases reported about children with ASL deficiency and arterial hypertension. Arterial hypertension was resolved with intravenous infusion of arginine [13, 15]. We aimed to test this hypothesis in our study population, however, plasma arginine concentrations were determined only in 5 of the 17 patients before starting metabolic emergency treatment which also includes arginine. In addition, we were able to show that the initial high blood pressure is not a one-off event, but initially persisted in newborns with UCD. For most of them, sedation and intubation led to a drop in blood pressure. Since in neonatal sepsis and other causes of severe disease systemic blood pressure is mostly reduced , elevated blood pressure, probably readily explained by the pathophysiology of UCD, may be an important indicator for UCD.